Help me launch Arms Race into the world on the 31st August 2014 at the Toff in Town. Drinks from 7 and words at 8 from the one and only Van Badham. Learn about apocalypse through the ages, in under ten minutes. Raise a toast to tales of love, mischief, drone warfare and the end of days. Then it’s … the Third Annual Pan-Melbourne Interpretive Dance Championships (TAPMLIDC)! The first two legendary instalments took place in the carwash next to my house: twelve teams, double-digit noise complaints, “a slaughter of classical, jazz and tap” (Three Thousand). This year we’re wildly lowering the tone at the Toff in Town. Think zombies-in-onesies. Think Eurovision, if Eurovision featured interpretive dance versions of Blood Meridian. Think Hunter S Thompson, Eddie Van Halen and Emily Bronte in a hatchback, on their way to schoolies. For the open freestyle event, teams have four disastrous minutes to smash it out of the park. PLUS there’ll be top-shelf bar prizes, a champion’s podium made of milk crates, and all-in dance battles – including the world-famous Kate Bush Endurance Marathon Derby. 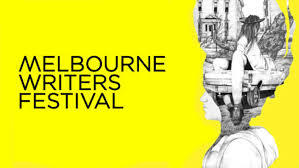 Last but far from least, it’s the end – of the Melbourne Writers Festival. We promise delirious, ecstatic festival staff, the chance to talk to that cute writer you’ve seen around, and dancefloor-smashing DJs TGTHR and JPS till late. Sure, it’s a Sunday night, but we promise: Monday will never arrive. It’s my first Melbourne Writers Festival, and I’m doing NINE events. Catch a reading from Arms Race on Friday 22nd at The Morning Read, a discussion on writing global short stories on the 23rd, or explore contemporary New Zealand identity on the 24th. I’m also chairing a series of City to City panels looking at culture, writing and geography across Shanghai, Jakarta, Beijing and Singapore. For those we’ll be taking an idiosyncratic, hypothetical walking tour in the company of local scribes. Details below. On the 25th-30th of August I’ll be in the town of my birth, Christchurch for the WORD festival. It’s tremendously exciting to return with a book in addition to the customary tramping boots. I’m speaking about The Bookwallah project – a roving writers festival traversing India by train – for the opening Pecha Kucha night, then discussing the sharper edges of short fiction with Breton Dukes and Julie Hill. Then it’s Bali, Indonesia for the 2014 Ubud Readers and Writers Festival. As a Maori writer, one of the highlights for me is interviewing legendary Maori writer Patricia Grace: I grew up on a steady diet of her work. I’ll also be chatting short stories, the paradoxes of writing about the digital world, and chairing a panel on our writing elders. And at the end of it all, there’s a week-long residency in Ubud to work on a couple of new stories. Can’t wait! Patricia Grace was the first Maori woman to publish a collection of short stories in 1975. A leading voice in Maori literature, her stories introduced the world to her people’s culture, life and history, and now you can hear more in person. “Short stories are journeys you can make to the far side of the universe and still be back in time for dinner.” – Neil Gaiman. Sit in on these short story writers as they elaborate on penning tall tales in short formats. Elders: in some cultures revered as the gatekeepers of wisdom, in others thought better out of sight, out of mind. How does the way in which we treat our forebears affect who we are, and how we feel about getting old? On the 13th of October I’ll be reading a selection from Arms Race downstairs at the Wheeler Centre for Books, Writing and Ideas at 6.15pm. I might test-drive a few of the quieter, more strange stories for this one. Details are here, and the Wheeler Centre’s over here.